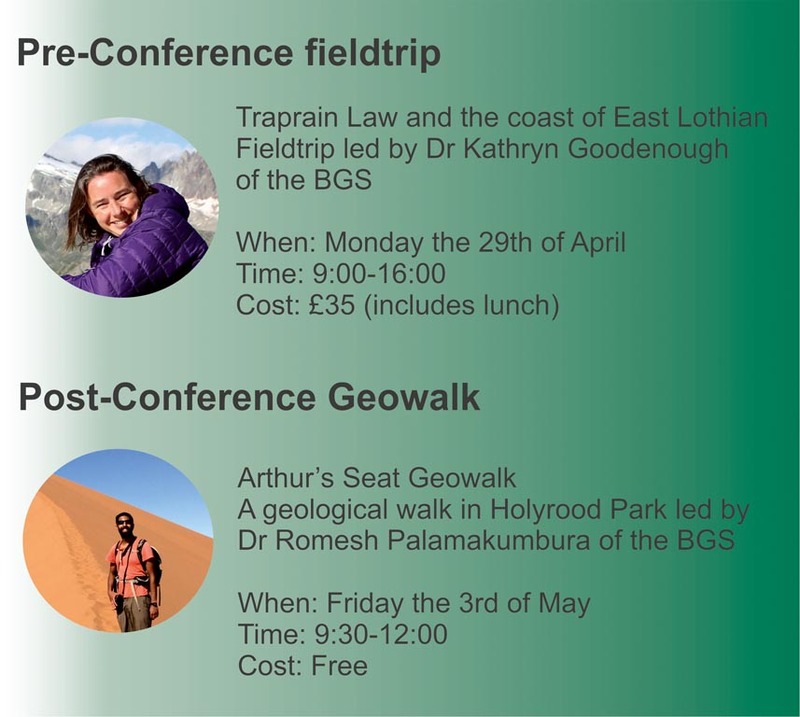 Dr Kathryn Goodenough of the British Geological Survey will lead a one day pre-conference field trip on Monday the 29th of April 2019 to the east coast of East Lothian and Traprain Law. Alkaline igneous provinces are typical hosts of the rare earth elements, niobium and other critical metals. The Permo-Carboniferous province of Central Scotland is relatively little known but provides an interesting insight into the shallow levels of these provinces. On this field trip we will visit shallow level intrusions at Traprain Law and coastal volcanic exposures, with some superb East Lothian scenery. 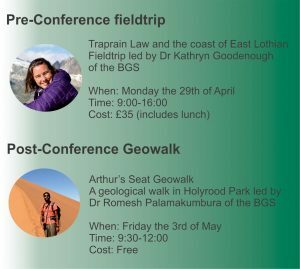 Continuing our igneous theme, a free post-conference geo-walk led by Dr Romesh Palamakumbura of the British Geological Survey will take in Holyrood Park. We will visit the classic exposures of the Arthurs Seat volcano that led to the birth of modern day geology, including Hutton’s Section which provided evidence for magmatic intrusion.